It’s amazing how much better it looks with the new colors, entry, and landscaping. 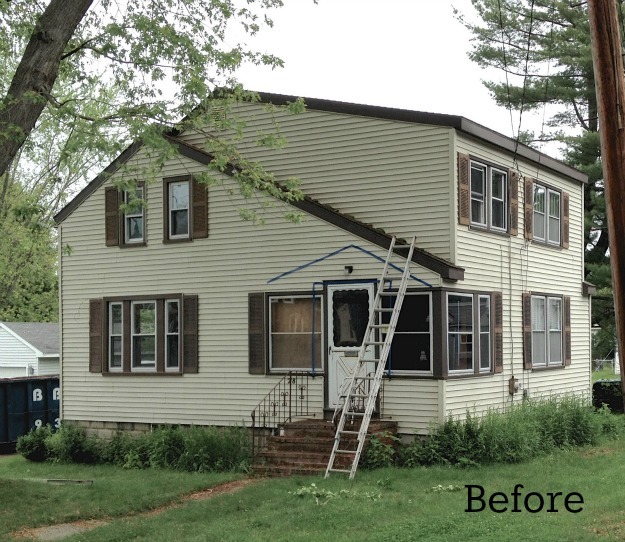 When they removed the vinyl siding, they were excited to find cedar shakes underneath. 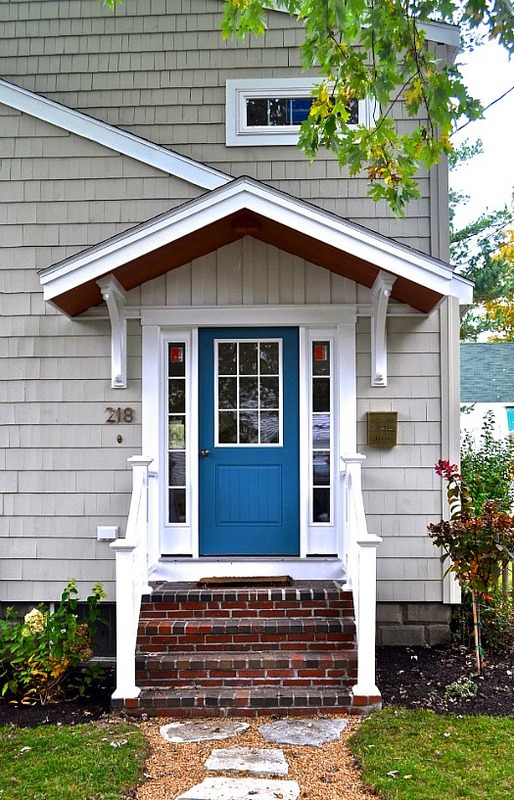 HGTV’s Refuge Blue paint from Sherwin Williams makes the door really stand out. And the new window breaks up that big wall above it. So much better! They also added a charming new stepping-stone path to the front door, a picket fence, and an arbor. 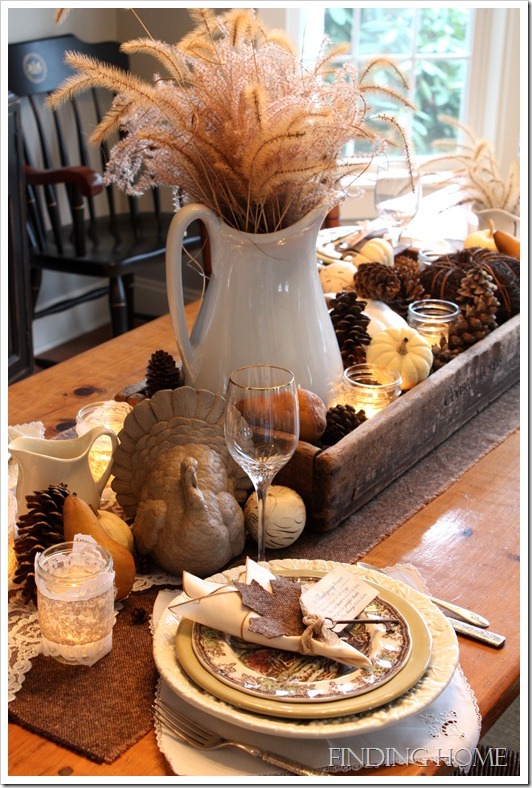 Visit Laurel’s blog SoPo Cottage for more photos and details about her “Diamond in the Rough,” before and after. Really a great makeover. The new window really stands out as well as the blue door. Hope it will sell quick. Wow! 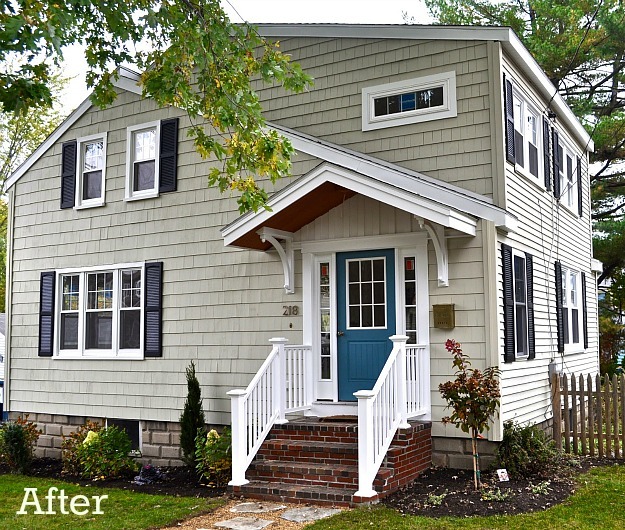 The transformation is amazing, and the freshened up house looks SO charming. Well done! The SIDING made a huge difference, too!!! Love the door color. I had to do a triple-take! Amazing transformation! I love how they kept the old brick steps by just power washing them – really gives the reno character. Great job! Wow!!! What a difference! Just beautiful! It’s interesting how much different it looks with just a few changes. The new sidelights and change in window placements remove the whole “enclosed to keep out the weather feeling to the entrance to the house, making it feel much more organic. What a nice job-and I’m sure there was a lot of deliberation. WOWZERS! Great choices on the siding & colors! The house really pops now! But it is still recognizable as the same house. Fantastic job Laurel! That is a good one! Thanks, Terri. What a difference. Very nice work. 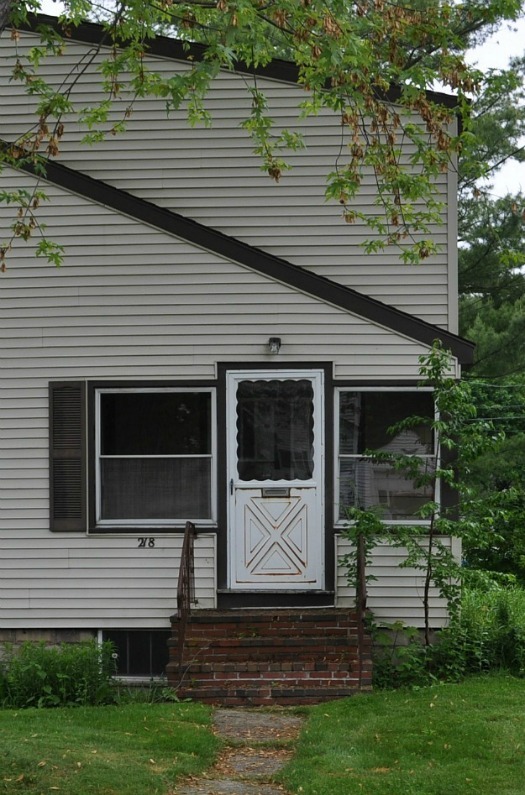 It appears that all the windows have been replaced, and the one above the front door was added. Definitely worth the work and expense. I love your blog and stories like this! What a fabulous transformation. Love the shingles and the new pediment over the door. Would love to see more of this house. I’m sure it will sell quickly now! 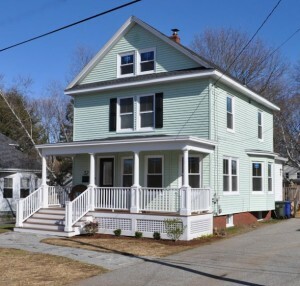 I admit, I wouldn’t have ever even clicked on the original picture in a MLS listing. Wow, what a transformation! That’s the nicest thing you could have said Melinda – we were hoping it would look nice enough that folks would come see it now. I had a hard time persuading my husband to go see it in the first place!!!! Thanks so much everyone!!! It’s been 4 months in the making, but it’s finally looking like we always thought it could! I hope to have more interior photos on our blog in the next few weeks as we wrap up the inside work. It’s interesting how the littlest changes can make a big difference. Great transformation! Fabulous! I absolutely love the front door color, I thought red was my favorite but now I love that blue. Great job! That looks wonderful! I would go look at that house in a heartbeat. Wow, this is fantastic! I love seeing an ugly ducking transformed into a beautiful swan! I always wonder why anyone would cover gorgeous shingles w/ vinyl siding, but those shingles make all the difference. I admire people with this kind of vision. I would have taken a look at the original and thought it was a lost cause, but the new entry & the beautiful paint colors really make this a charming home! I’m dying to see what they’ve done w/ the interior. I’m going to pop over now and check it out! It looks fantastic! There’s no better feeling (to me) than finding hidden treasures that have been covered over with dodgy renovation, like the shingles here. So glad you listed the paint color, I’ve been trying to pick one for my front door and this one is amazing! Took the words right out of my mouth. That blue front door looks great and provided me something to think about. I have been wanting to paint our door chartreuse… but maybe “Refuge” would be better. I was looking at the houses you help fix up. I just want to know how I can go about getting help with my home. I am a new homeowner and didnt know much about buying a house. My inspector didn’t give me a good deal, now I’m having to get a new roof, electrical work and other things done. I just wanted a place for me and my child to make great memories. That’s going to take time. So I’m hoping and praying I can get some help on fixing up my house into our dream home. Lovely new look, great job. However, as a professional garden designer I would pull the planting beds out by another couple of feet (or more) and edge with undulating lines to embrace the entrance path. The tight beds put the plants too close to the foundation and they will suffer in a few years from what we call “flat back”. Plus, a deeper bed would balance the height of the house and help nestle the structure into the landscape. Anyone in a similar situation might want to check out books like “Front Yard Gardens: Growing More Than Grass” by Liz Primeau or Home Outside: Creating the Landscape You Love by Julie Moir Messervy for some ideas. Amazing work! I bet it took a lot of work but the end result is amazing! It definitely has curb appeal now!